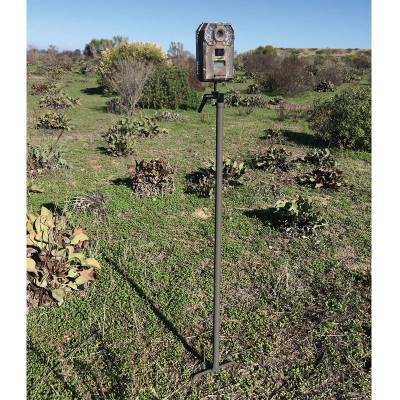 Stealth Cam trail camera mounting stick allows you to place cameras in treeless terrain. Compact two piece design allows for easy transport. Constructed of heavy duty steel post and has a foot step ground stake to allow quick & easy placement. Adjustable 360 degrees horizontal rotation and 370 degrees vertical tilt.